There isn’t anything either right or wrong when dealing with co-ordination. There are degrees of movement. Life is really moving from one position to another. We never stop and say, “This is right – this is my posture, this is the way I ought to be.” If we do that, we’re stiff trying to hold that posture. It isn’t natural for our bodies to be held in positions. 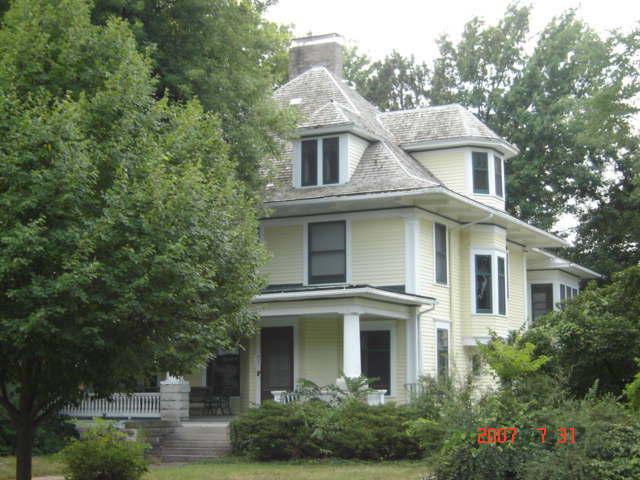 Marj Barstow’s home – built by her father in 1901 – at the corner of South 20th and Washington Streets in Lincoln. Marj lived there for 94 years. Marjorie Barstow, from Lincoln, Nebraska, was the first person to graduate from F. M. Alexander’s first training course in 1933. After working as A. R. Alexander’s assistant in Boston and New York in the 1930’s, she returned to Lincoln. 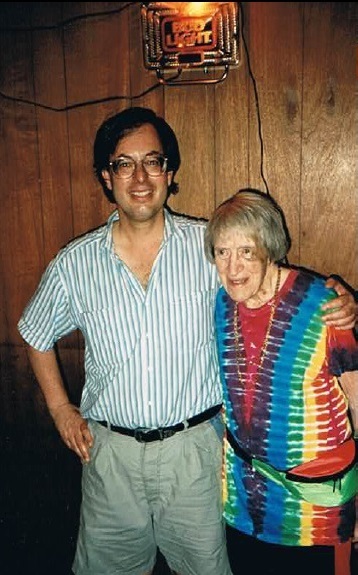 She continued teaching until shortly before her death in 1995 at age 95. During the last 2 decades of her teaching, she attracted thousands of students to her workshops in Lincoln, and around the world, with her unique approach to teaching Alexander’s discoveries. My name is Robert Rickover and I am the creator of this site. I am an Alexander Technique teacher living in Lincoln, Nebraska and I also teach regularly in Toronto, Canada. I first met Marj (that’s what everybody called her) in 1979 while I was training to become an Alexander Technique teacher in London. I attended a great many of her workshops (and was often one of her assistants) until she stopped teaching, about two years before she died. For a few years, in the early 1990s, I organized her workshops in Lincoln. I can’t teach anything that I haven’t done myself. I may not always do it, you know we don’t always do what we should (life would be very dull if we did). But I know when I want to have more freedom, I know what I can do and what I must do, then I make the choice of whether or not to do it. This site sponsored by: Swimming instructor courses and Lifeguard Courses from award winning training provider Icon Training. Pilates classes in Bolton taught by a physiotherapist. Physio-led Pilates is the safe modern way to try Pilates.